Is It a Bear? Or a Ball? One day, a little boy named Max came home from school with a project. He needed to create a toy. But there were a few requirements. Both, boys and girls would want to play with it. Kids of all ages would like it. It would inspire your imagination. That sounds like a pretty long list for a toy to satisfy. But Max was up for the challenge. So after lots of thought, Max had an idea. For the toys to satisfy everything on the list it would have be 2 toys in 1! Then Max thought about his 2 favorite toys, a ball and his stuffed animal he slept with. The Buddy Ball was born! I’m not sure if Max got an A on his assignment but he sure should have! It wasn’t long before Max’s whole family was helping Max make Buddy Balls. And not long after that they were all in the toy making business. 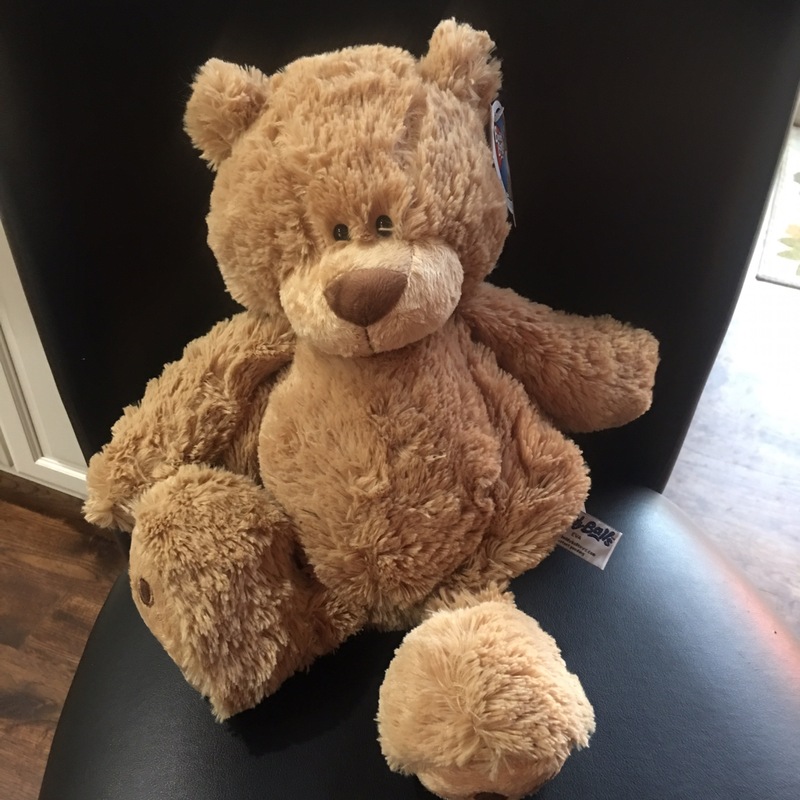 The Buddy Ball is a plush toy that can be a ball or a snugly teddy bear. It’s easy for a child to change back and forth between the two toys. 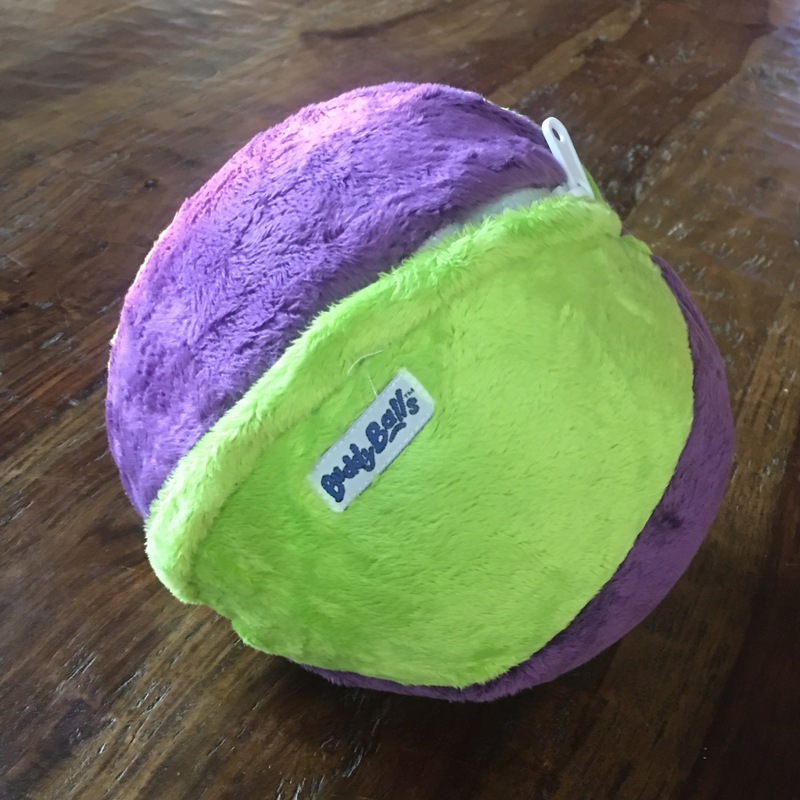 Buddy Ball even provides directions on the easiest way to transform your Buddy Ball from a teddy bear to a ball. I was able to do it in a matter of seconds and it took Peyton just a little while longer. The trickiest part was trying to zip the ball shut because the bear fur would get caught in the zipper. But if you slowly zip the ball shut pushing the bear fur away from the zipper you will be fine. Even when the zipper did get stuck it just took a little tug to get it unstuck. Buddy Ball fulfilled all the requirements. It’s fun to play with. Can be enjoyed by boys or girls of all ages. And it inspires you to use your imagination when playing with it. You can purchase Buddy Ball online.